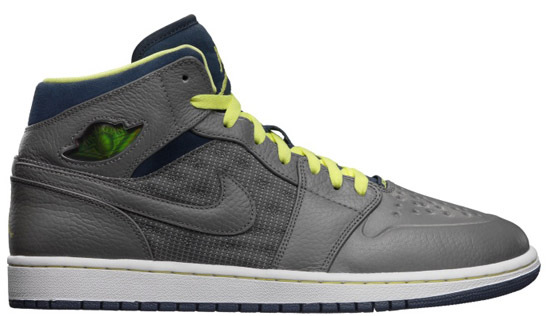 Two new colorways of the Air Jordan 1 Retro High '97 TXT are now available. 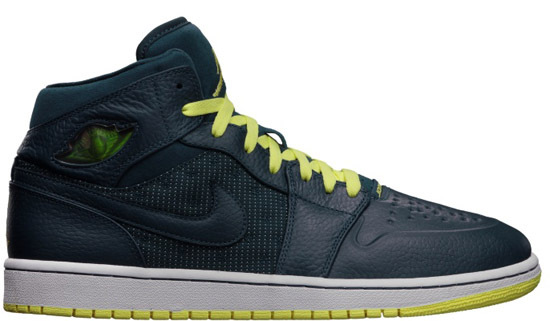 The Air Jordan 1 Retro High '97 TXT combines the Air Jordan I with the Air Jordan XIII. After their debut release in late December of 2012, Jordan Brand is back with two new colorways to kick off the month of February. Both pairs featuring "Squadron Blue" on them tying into the new Air Jordan 13 Retro colorway also set to release in February. First up we have a squadron blue and electric yellow colorway featuring a squadron blue-based upper with electric yellow accents. Second, a flat pewter, electric yellow and squadron blue colorway featuring a flat pewter grey-based upper with electric yellow and squadron blue accents. 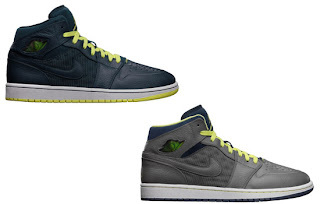 Both of these Air Jordan 1 Retro High '97 TXT colorways were a general release available at select Jordan Brand accounts worldwide on Saturday, February 2nd, 2013. Retail is set at $120. If you're interested in either of these pairs, check in with your local spots now to see if they received them. For those of you looking to lock down a pair now can click here to buy them on eBay.